Halloumi or haloumi is a Traditional Cypriot cheese that is also popular in Greece, and throughout the Middle East and is now made the world over. It is made from a mixture of goat's and sheep milk, although some halloumi can be bought that also contains cow's milk. It has a high melting point, and so can easily be fried or grilled. 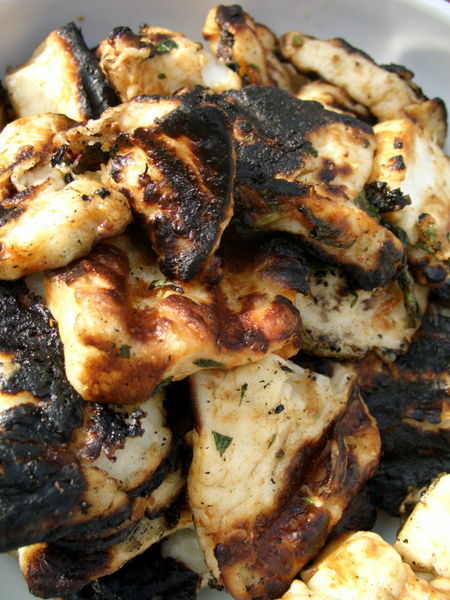 Halloumi is set with rennet, and is unusual in that no acid or acid-producing bacterium is used in its preparation. Halloumi cheese originated in Cyprus and was initially made during the Medieval Byzantine period, subsequently gaining popularity throughout the Middle-East. Industrial halloumi contains more cow's milk than goat and sheep milk. This reduces the cost but changes the taste and the grilling properties. It is used in cooking, as it can be fried until brown without melting due to its higher-than-normal melting point, making it a good cheese for frying or grilling, as an ingredient in salads, or fried and served with vegetables. The resistance to melting comes from the fresh curd being heated before being shaped and placed in brine. 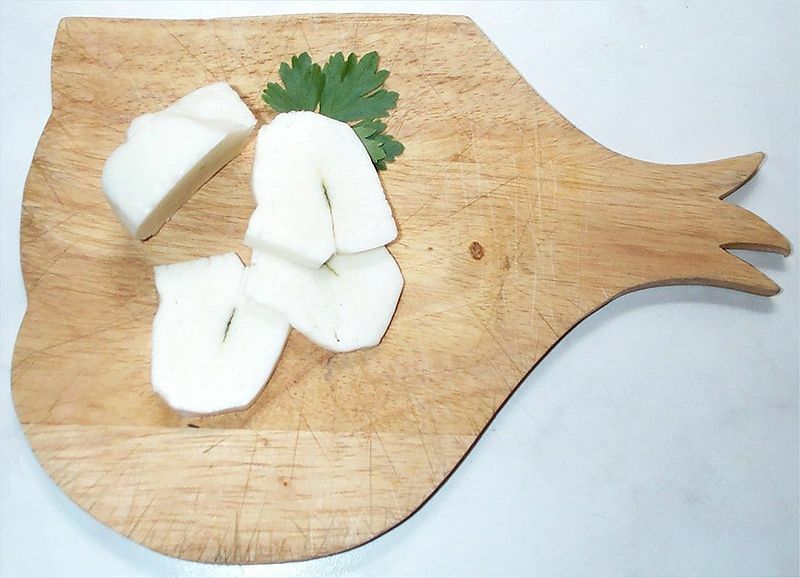 Traditional halloumi is a semicircular shape, about the size of a large wallet, weighing 220-270 g. The fat content is approximately 25% wet weight, 47% dry weight with about 17% protein. Its firm texture when cooked causes it to squeak on the teeth when being consumed.